Boyd Errol Heyland of Claresholm passed away peacefully at the General Hospital on Friday, March 15, 2019 at the age of 69. He was born on July 4, 1949 in Claresholm to Errol and Kathleen Heyland in Claresholm. Boyd will be lovingly remembered by his family: sister Vicki, wife Pam, his children Toby Clarke (Dallas), Scott (Kat), Kyle (Kelsey); and grandkids Wyatt and Ryder Heyland, Keeley and Cassidy Clarke. He is predeceased by his mother and father; and also his brothers Mike and Larry Heyland. Boyd was raised west of Claresholm. 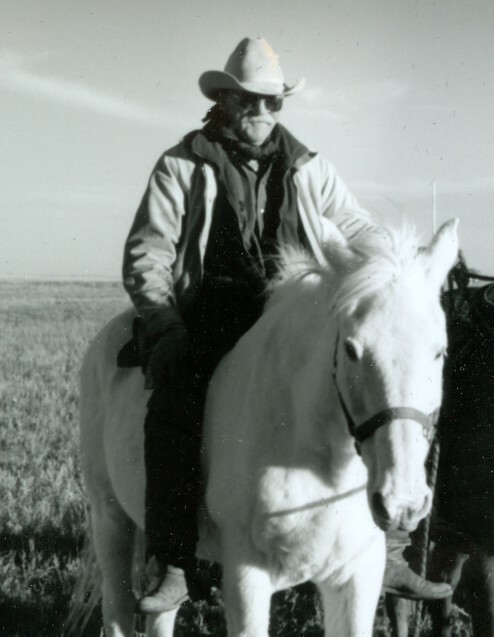 He took over the job of Range Rider at Burke Creek Stock Association from his father shortly after marriage and worked there for 15 years and then worked with Allan Smith from Granum fencing, after that he went on to haul fertilizer for the Morkin family until retiring 5 years ago to The Ranch. There will be a Celebration of Life at Northern Light Hall on Saturday, March 23, starting at 4:00 p.m. everyone is welcome. Pam and the family would like to thank all the staff at the Claresholm General Hospital for the superb care given to Boyd. In lieu of flowers please make donations to Claresholm General Hospital and District Palliative Care Committee c/o P.O. Box 2638, Claresholm, AB T0L 0T0.